We are offering residential and commercial spaces for the public to rent. 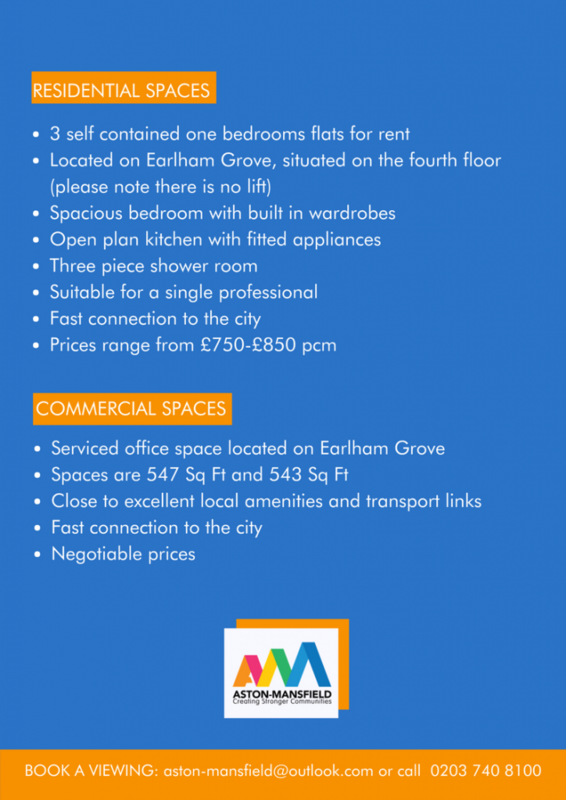 They are situated on Earlham Grove, Forest Gate. 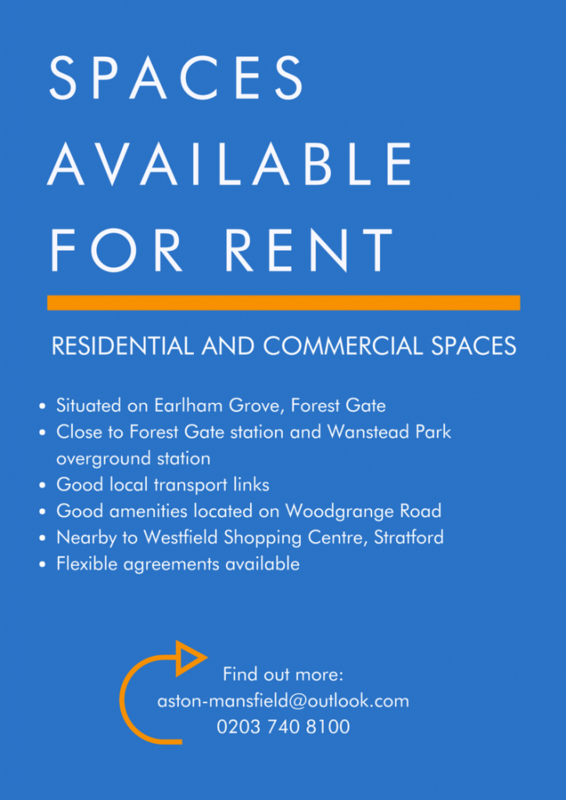 There a located only a walk away from Forest Gate and Wanstead Park over ground station, they are close to good amenities located on Woodgrange road and it is nearby to Westfield Shopping Centre, Stratford. For more information please see the posters below. To book a viewing or to find out more information please get in touch by emailing: aston-mansfield@outlook.com or call 0203 740 8100.